“Time spent with you feels like charcoal sketches for a painting that you won’t let me see”. So we’re told on ‘Quarters In A Pocket’. 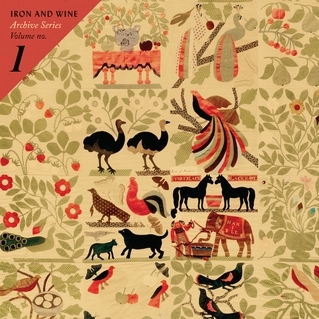 It’s a neat summary of Iron & Wine’s Archive Series Volume No. 1. The songs in this set feel like charcoal sketches for paintings that for some reason were never exhibited. Like sketches by any great artist, they can be beautiful in themselves. And there are some little masterpieces here. ‘Judgement’, ‘Beyond The Fence’, ‘Minor Piano Keys’, ‘Halfway To Richmond’. They’re all worthy of proper curation. And even though they’re sketches, none is unfinished. There are no false starts. The tape never stops suddenly. There’s no premature corpsing. Understandably, there’s a lo-fi quality to the exercise. Birds can be heard in the background. But the quality is pretty even across the set, creating a coherence to the collection. While it’s not clear exactly what period it covers, we’re in The Creek Drank The Cradle and Our Endless Numbered Days territory. 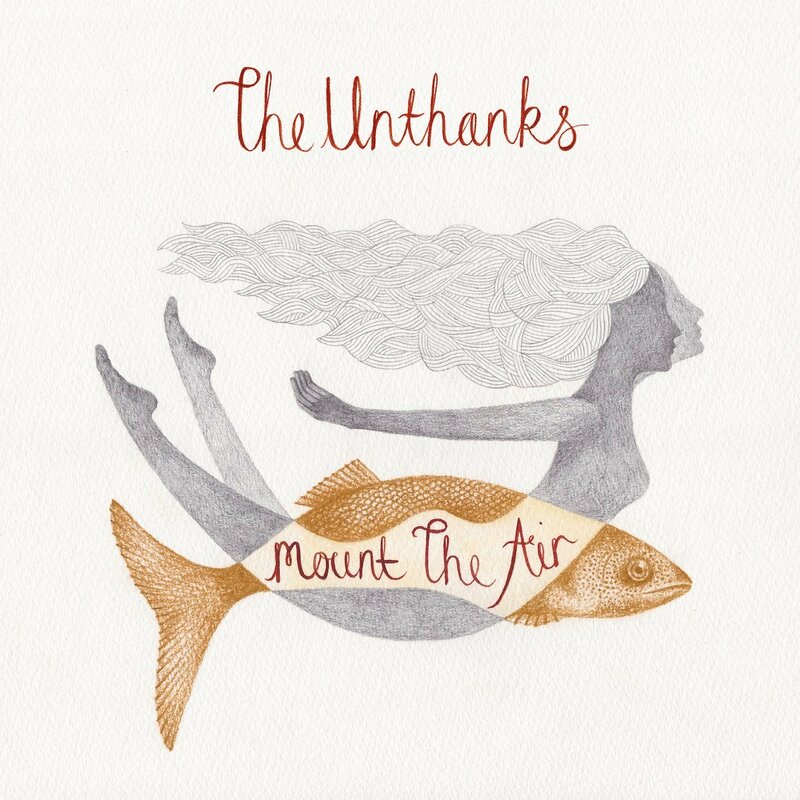 There are gentle backing vocals and some understated musical accompaniment at times. But for the most part this is Sam Beam at his most whispery and often with just a guitar for company. And, as if there was ever any doubt, the lyrics are far from sketchy. The lovely solipsism on ‘Two Hungry Blackbirds’, “Spoke to a mother whose baby drowned, Gave me advice or a rumor she once heard, Heaven’s a distance not a place”. The casual intimacy on ‘Everyone’s Summer Of ’95’, “Hitching a ride with a crusty girl, Me and the boys stole a tie-dye shirt and a kiss or two”. Sketches they may be, but Iron & Wine’s Archive Series Volume No. 1 is worthy of its own show. Chances are that subsequent volumes will be too. Swedish neo-proggers, The Amazing, keep it just this side of noodling on their new album, Picture You. There are longueurs and largesse, but everything is pretty much à la hauteur. The video for the title track is below. If a song clocking in 9:36 puts you off, then fear not, because really it’s two songs. At 4:39 everything stops. Only to start up again immediately and in a different way. Think of it as a song sandwich with no filling. For the slightly world weary, the permanently lonely at heart, the pathologically self-deprecating, and those for whom the sight of a half empty glass would represent a really good day. Put the bunting up. 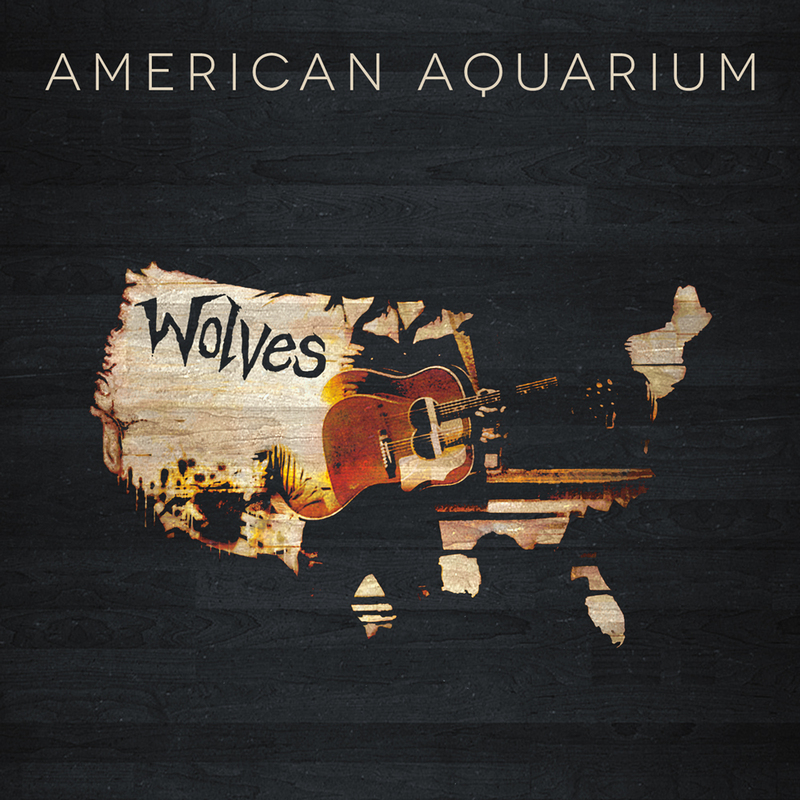 Because American Aquarium have renewed their membership of the club. After threatening to call it a day with 2012’s magnificent Burn. Flicker. Die., BJ Barham and the boys have heaved a heavy sigh, raised themselves slowly up, and delivered another great set of songs. From the start, we’re left in no doubt as to how things stand. “I ain’t gettin’ any younger, Every day’s an uphill battle, Staring down the barrel of choices I’ve made”. Oh boy, that’s track 1. “‘Cos it’s a certain kind of despair that hangs heavy in the air, … And there’s a southern sadness that won’t let go of this heart of mine”. Oh my, that’s track 2. And so it goes on. Not that there’s no redemption. There’s often comfort at home. And even if we learn that BJ’ll “never be an acrobat flyin’ high on the trapeze”, there’s solace in the thought that he’s “just a singer struggling to stay on key”, because, he tells us, “That’s the man I’m supposed to be”. It’d all be just a little too much if the songs weren’t almost perfectly composed. Jason Isbell produced Burn. Flicker. Die. and there are times here when the songwriting is just as precise as anything on Southeastern. This time it’s Brad Cook of Megafaun at the helm. He’s done a fine job. Even at first listen, it’s like coming across a bunch of songs you’ve grown up with. At this point in their career, American Aquarium are a band who seem like they’re still unsure of themselves, but who sound like they know exactly what they’re doing. And that’s a really nice mix. Matthew Houck’s Muchacho tour has already generated one tremendous live album. Muchacho De Lujo came out in October 2013 and contained a full concert recorded at St Pancras’ Church in London. Now there’s a new live album recorded over four nights at the Music Hall of Williamsburg in New York. This time, the result is eight tracks from the record of interest, plus three from Here’s To Taking It Easy, and two from both Pride and Aw Come Aw Wry. Maybe because the tracks have been cherry-picked from the different sets, this is an even better collection. There’s a great mood. The playing is tight. And there’s a never a sense of just playing studio songs live. These are versions that poke around in the dusty old corners of the originals, usually coming up with something of interest. So, here, sung solo on keyboards ‘Muchacho’s Tune’ undergoes a remarkable transformation emerging as an almost jaunty, audience-participation sing-along. And the previously almost painfully fragile deep cut, ‘Dead Heart’, now swaggers out of the speakers. And perhaps it’s no coincidence. 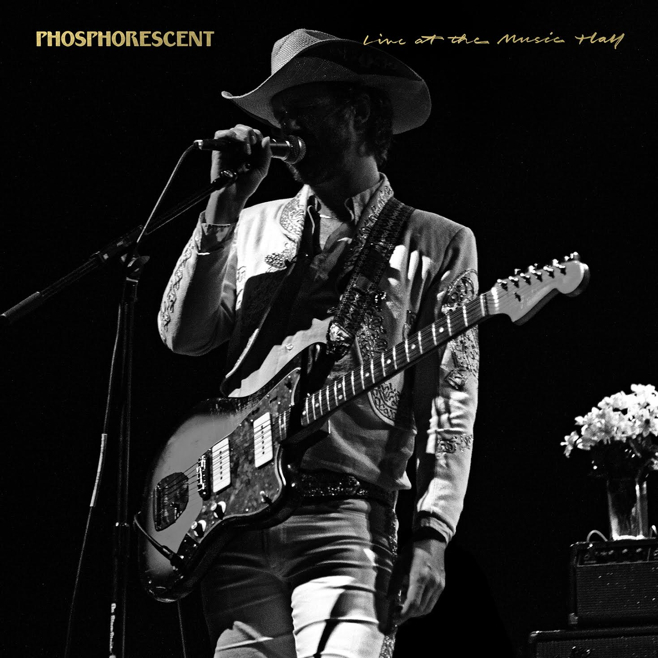 In his earliest incarnations as Phosphorescent, Matthew Houck seemed like an artist racked with self-doubt. The sound was gloriously angstful and always on the edge of a musical breakdown. Now, he exudes confidence. He knows that his career has been on an upward trajectory and he also knows that Muchacho is a truly great album. He’s right on both counts. And with these two live releases, it’s as if he wants to capture this moment of his musical life so that he’ll never forget the difference between then and now. And he’s right to do that too. After all, who knows what will follow Muchacho? Maybe it’ll end up being the pinnacle of his career. If so, then there’s a record of it for posterity. But if Matthew Houck has shown us one thing, it’s that he’s a really clever guy. He’s a learner. So, Live at the Music Hall might be just a place marker, and a throughly enjoyable one at that, but it might also end up signalling the end of one period in his career and the start of another even better one. Now that’s a really nice thought. This is great. Jimmy Fallon doing Neil Young and Neil Young doing Jimmy Fallon doing Neil Young.